It is interesting to compare the role that music plays among peoples who are considered national minorities. Given the obvious commonality of interest, it’s surprising how few of these links are easily uncovered. Basques have survived because of their historical cultural isolation, which is now changing. The situation of being outnumbered in one’s own land, or of seeking greater political jurisdiction, is one shared by hundreds of peoples worldwide. These links are often expressed in popular music – one of the key vehicles for the transmission of culture. Since the 60s many Basques have realized how important it is to sing in their own language and to play their own traditional music and instruments. And many musicians who are speakers of lesser-used languages have done the same. The most obvious links for Basque musicians are those within Western Europe and North Africa as well as those with Quebecers and aboriginal peoples in North America. 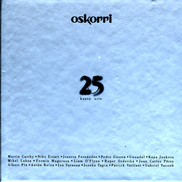 The best example is Oskorri’s: Western Europe’s major and minor languages are featured on Oskorri’s 1996 album 25 Kantu Urte. Here the members of the famous Basque band sing their own Basque songs in Catalan, Galician, Breton, Irish, and other languages; while non-Basque singers perform in Basque. This is a remarkable double-disc set marking the end of one Oskorri era and the beginning of the group’s next quarter century. Non-Basques singing in Basque include Martin Carthy, Anton Reixa, Brittany’s Gwendal, Gabriel Yacoub, Ireland’s Liam O’Flynn, Catalunya’s Albert Pla, and others. Catalans and Galicians are natural friends and allies, with a second language in common with many Basques and with similar cultural and political aspirations. 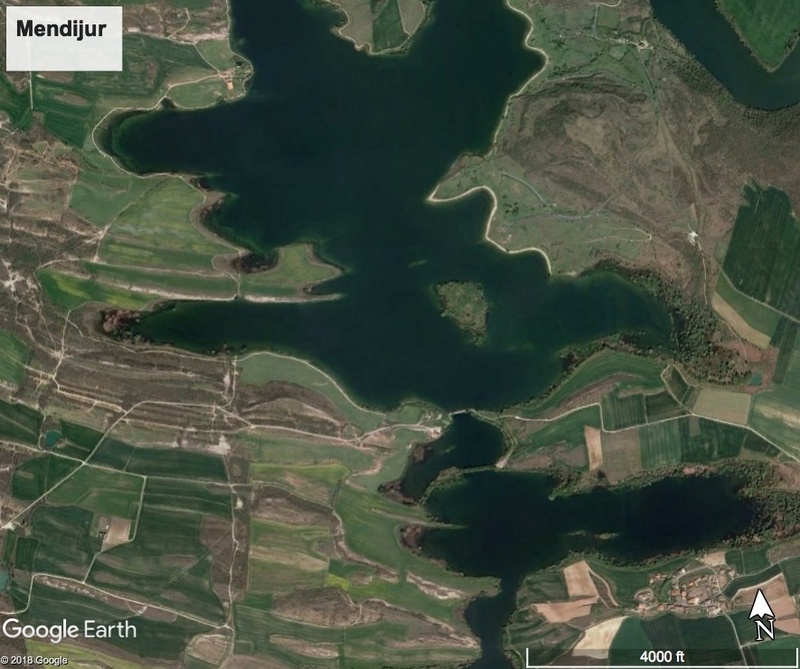 We see this link in such groups as Tapia eta Leturia, Ken Zazpi, Pirritx, Porrotx eta Marimotots, to name a few. Ken Zazpi has recorded several of its major hits in Catalan. 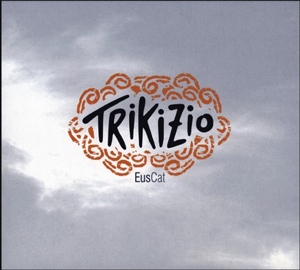 One of my favourite Catalan-Euskara exchanges is the disc EusCat by Trikizio. This group plays trikitixa in a ska style, alternating between Catalan songs in Euskara, and Basque songs in Catalan (plus a few do-overs in the original language). Guests on the CD include such luminaries as Xavi Sarriá and Miguel Gironès of Obrint Pas, Kepa Junkera, and many others. If it is strange to hear Obrint Pas’ and Inadaptats’ material in Basque, how about Su Ta Gar’s heavy-metal anthem ‘Jo Ta Ke’ in Catalan triki-ska! Many of Europe’s smaller peoples look to Quebec for leadership. Quebec has achieved cultural nationhood within the Canadian state, but could easily have voted for some fuller degree of sovereignty on two occasions. Quebec is not completely analogous though. Canada is officially bilingual (French-English) and its political leadership must be so as well. 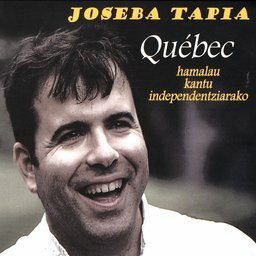 Joseba Tapia’s CD Quebec: Hamalau Kantu Independenziarako (1999) features the songs of six influential Quebec songwriters: Félix Leclerc, Raymond Lévesque, Gilles Vigneault, Claude Léveillée, Robert Charlebois and Paul Piché. These are songs spanning the most intense period of political ferment in Quebec, 1960-80. It’s curious to hear these songs – some of which are intimately associated in my mind with Quebec – sung in Euskara. The song ‘Mon Pays’ which is a kind of anthem becomes ‘Herri Hau’ (this country) rather than my country. Kepa Junkera and others have worked frequently with Quebec folk colossus La Bottine Souriante. On Kepa’s 2003 live CD entitled K, La Bottine’s horn section (Jean Frechette, André Verrault, Jocelyn Lapointe, and Bob Ellis), turn up on several tracks, including ‘Herrik Shaw’, and lend a characteristic quality. On Quercus Endorphina, the debut Oreka TX disc, LBS foot-percussionist Michel Bordeleau gets high billing. Bordeleau’s style of percussion is infectious. 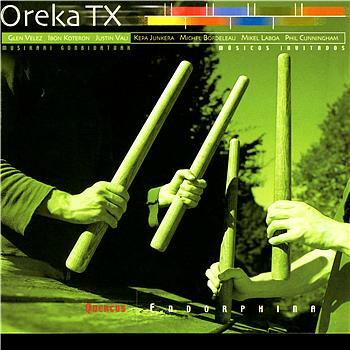 In fact, after his appearance on Oskorri’s brilliant 1999 disc, Ura H20, and on Viscayatik…Bizkaiara, the idea of foot percussion is taken up with great effect by percussionist Leturia on Tapia eta Leturia’s Hain Zuzen. On the same CD, the song ‘Compostelako Erromesa’ speaks to the Galicia-Euskadi link. Corsicans and Sardinians have always sought more autonomy from whoever has ruled them – for the last century or so France and Italy respectively. Corsicans and (some) Basques are ruled from Paris, so at least have something in common. Corsican is in a much stronger linguistic position than is Basque within the Pays Basque (Iparralde). Sardinian (like Corsican or Catalan) is a Latin-based language, spoken by almost all people with local ancestry and is relatively easy to learn by those who speak the state tongue. Recently, a Sardinian band, Tzoku, recorded the CD S’Ardore Populare at Garate Studios in Andoain, Gipuzkoa. This disc included one song with a Basque title, ‘Askatasunaren Haizea’ (the wind of freedom). From Corsica, Camurati’s song ‘Askatasunera’ recorded by the folk group L’Arcusgi, sums up the fraternal relationship between two peoples ruled from afar. L’Arcusgi has toured the Basque Country and has a web site in Basque, French and Corsican. 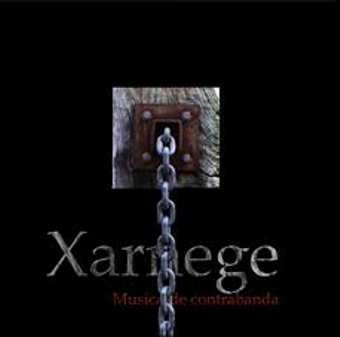 Also within the borders of France, the group Xarnege melds Basque and Gascon music potently on their recent disc called Gaueko Lan Musika/Musica de Contrabanda (2004) with the group performing in both native languages of the region. This is a lively disc, with dance tunes from both folk traditions, from the Aquitaine region traditionally shared by both peoples. Gascon is a language of Occitania (Southern France) related to Provençal. Links with Celtic peoples other than the Irish are not as strong as they could be. Basque, like Welsh, like Euskara, can be time consuming to learn, not being a close cousin of the majority language(s) in its territories, and so has struggled to integrate any newcomers linguistically. Demographically, the languages look similar (see below). Both have a strong national consciousness. Yet the pipeline between Wales and the Basque Country is not a particularly strong one, musically speaking. Dafydd Iwan, the Welsh singer and politician, writes in his memoir Cân dros Cymru about visiting Basque country in the 1970s. But he is less impressed by the Basque music he hears than the cooperative factories, shops and banks of the Mondragon system, inspired, as he notes, by Robert Owen of Trenewydd (Newtown) Wales. Wales, like the Basque Country, has a strong indigenous music industry – and it isn’t all miners’ choirs. Like the Basque Country, Wales has a full range of musicians who perform in the national language (a close cousin of Breton). But despite the similarities in language demographics and size, I have uncovered very few links. One interesting link is that of the band Estella, which gave one of its albums a Basque name – Lizarra of course! Further afield, Fermin Muguruza recently recorded a film project about Palestinian musicians, Checkpoint Rock. This follows another great Basque international project: Oreka TX, the txalaparta duo, makes links with many small peoples in their CD and film project Nomadak TX. These include the Sami of Scandinavia, the Adivasi of India, the nomadic peoples of the Western Sahara, among others. You really have to see this superb film if you haven’t yet. And listen to the wonderful collaborations between Basques and nomadic musicians from around the world. Occasionally, Basque musicians team up with really exotic languages such Inuktituté Ttxalaparta duo Ugarte Anaiak duets with Inuit throat singer Tanya Tagak http://www.youtube.com/watch?v=TCykJ_xu4rI on Iluani Erren. 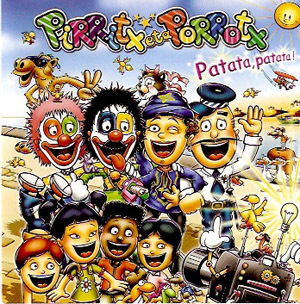 In children’s music, clowns Pirritx, Porrotx (eta Marimotots) seem to have particular affinity with the Tamazigh-speaking peoples of the Sahara, including a couple of Basque-Tamazigh duets on the CD Patata Patata. This was their first disc in their new style (without Takolo as a singer) and it opened up wide horizons. In the story line, a young Tamazight (Berber) woman arrives in Basque Country and is persecuted by the authorities, but she is protected by her friends the clowns. In their film Ilargiaren Sekretua, a young stowaway boy from the Sahara learns Basque. My children have enjoyed watching this fine, low-budget Basque-language film many times. We were thrilled to hear it also hit the movie screens in Catalunya as El Secret de la Lluna. With all of that said, we don’t see as many such collaborative efforts in music as expected. But given the increasing internationalization of music, one would expect to see many more such joint efforts in future. merci beaucoup pour cette liste de disques. J’ai aussi beaucoup apprécié le film de Jon Maia “Bidaia intimoak”. Bravo au Canada, champion olympique de Hockey 2010. It was a great game! I heard the wonderful and energetic Tapia Eta Leturia a few years ago in my home town Olomouc, Czech Republic. I immediately purchased 2 of their CDs. I tried to get English translation of their song ‘Compostelako Erromesa’, but Google Translate produces nonsense. Could you give me a hint?